Our management team here consists of several key people, and excellent training programs. Randy Koch, President and CEO, has owned his own business for over 27 years. He was born and raised in Eagle Point. He is an astute business man with great attention to detail. He is certified as a IICRC Floor Care Technician, and IICRC Commercial Carpet Cleaning Technician. http://www.iicrc.org/ The IICRC is a certification and standard-setting non-profit organization for the inspection, cleaning and restoration industries. In partnership with regional and international trade associates, the IICRC serves more than 25 countries with offices in the United States, Canada, United Kingdom, Australia, New Zealand and Japan. He has strong business philosophies and maintains very high business ethics. He oversees all company operations, and does all bidding and sales. He enjoys golf, steelhead fishing, hunting, and field trial competitions with Labrador Retrievers. Jill Koch has been with the company since 1988. She is our Vice President of Customer Relations, and Director of Employee Relations. She was also born and raised in Eagle Point. She recently attended the BSCAI Supervision Seminar in Las Vegas and was certified by them. She also is certified for slip and fall. She is our safety coordinator and is well educated with all aspects of human resources. She has OSHA training. She is certified as a Master Trainer to certify cleaners in both basic and advanced cleaning by the CMI. http://www.cminstitute.net/ CMI is a professional society focused on education, training and career improvement for commercial cleaning professionals. Since 1964, CMI has been helping frontline custodians, supervisors and custodial trainers to achieve their career goals and reach their potential. Their network of Master Trainers brings decades of real world experience to your cleaning operation.She also makes sure we remain accident free. She enjoys golf, working out, and has a passion for the study and collecting of fine wines. Heidi Skogseth, is the Administrative Assistant and the company’s controller and heads the accounting department. She was also born and raised in Eagle Point. She is a Legal Secretary. She is responsible for the company’s financial statements, general ledger, cost accounting, payroll, accounts payable, accounts receivable, budgeting, tax compliance, and various special analyses. 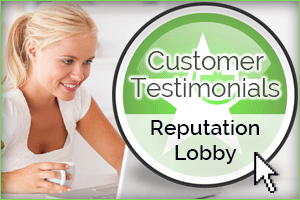 She enters any work tickets or issues from customers into our proprietary software program. She then turns them into work tickets and dispatches them to the proper supervisor. She is very good at making sure that our customers’ needs are being met by properly following through with the employees. She trains each new employee in: Hazard Communications, Proper disinfection cleaning, Blood Borne Pathogen Training, MSDS & chemical uses, and Vacuum Certification. She enjoys recreation with her three kids and grand daughter. Rodney Williams is the Floor Care Technician. Rodney works full time taking care of all floor needs for over 8 years now. He is a certified IICRC Floor Care Technician. http://www.iicrc.org/ Rodney is a very detailed person, and has over 12 years experience with floor care. Rodney enjoys watching football, working on his car, and recreating with his girlfriend.